He stares into the grass, pretending to look for prey. 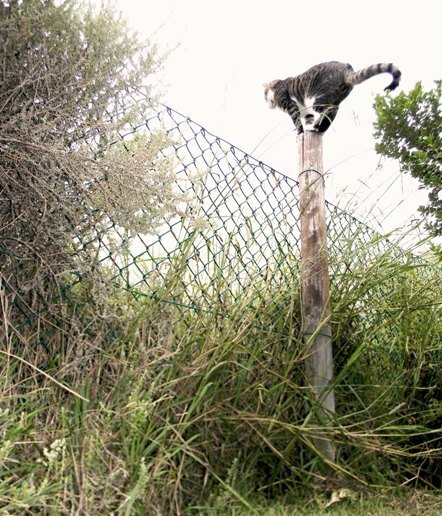 My cat spends a lot of time sitting on a certain pole that forms part of the fence surrounding our backyard. When he knows we’re around he feels compelled to look as though he’s busy with something constructive – i.e. 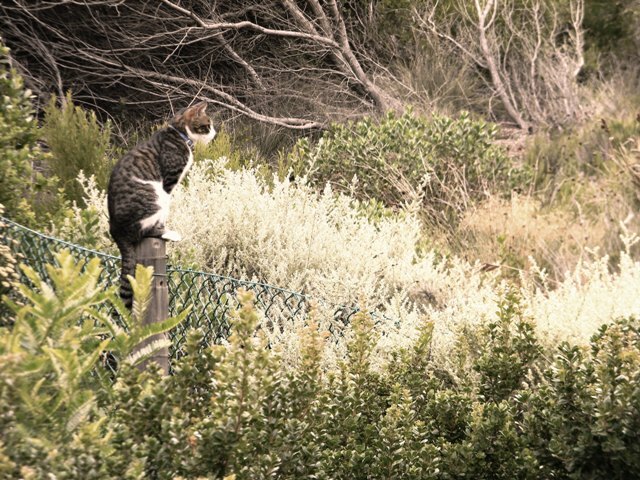 scanning the bushes and grasses below for a catch to lay at our feet. But when he thinks we’re not watching, he relaxes. He lifts up his head and stares. He stares at the mountain. Sometimes at the sky. He stares and stares and stares. For hours on end… and I know why. Well, he would be most impressed with you for discovering his thinly disguised secret!